Apple Seeds, is one of our favourite project! We are so proud that its founders (Alison, Allison, Bobby and Craig) still cooperate with us. We are really glad that we can build with them their success. To understand new update on which we are working now we would like to bring you closer the whole meaning and project’s structure. Apple Seeds, we love the kids! Let’s meet the project’s founders. “We live in New York City and we love it” - this is what they are telling about themselves. These two couples have got together six children. Raising them, few problems occurred. During rainy days and cold winter, or hot and humid weather, kids start to boring in the apartment. 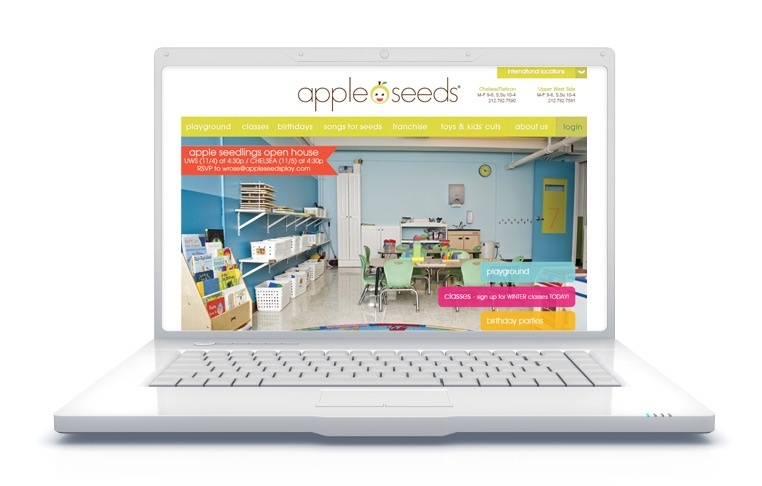 Apple Seeds operates all-in-one play spaces for families with children newborn to five. It is located in New York City (3 locations in the city), Mumbai, India and Dubai. Children can use unique, indoor playground, design according to children’s needs. Additionally there are over 100 classes a week, where they can participate in music, art, cooking, sport and many other lessons. One of activity hosts by Apple Seeds is birthday party. This area is now developing by Railwaymen. 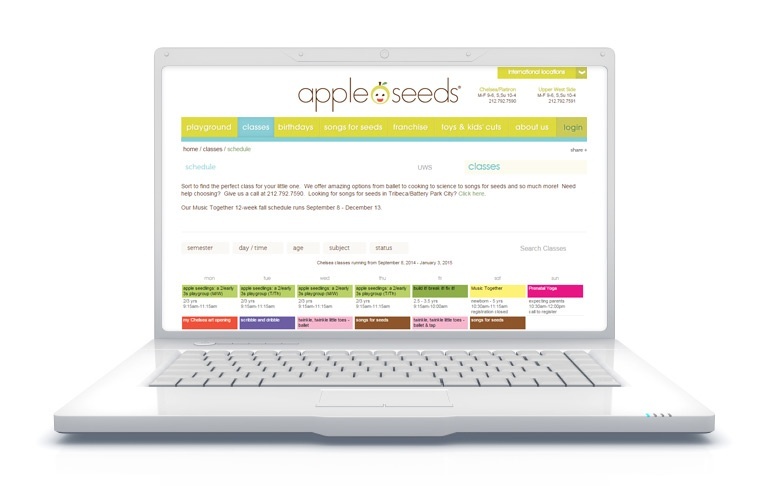 Apple Seeds is a big online platform designed and implemented by Railwaymen in Ruby on Rails technology. It has two dimensions. The front-end layer made for users - parents and their kids. Allows to create a profile and pay online for playground (monthly subscription) and classes. Apple Seeds is a result of an excellent cooperation with one of our clients. It shows very good all possibilities, that gives Ruby on Rails technology, both in a front-end and back-end layer.